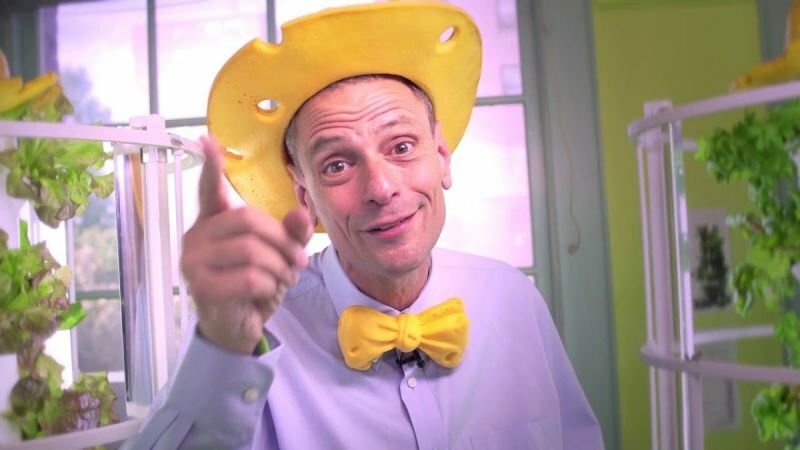 STEPHEN RITZ - Boston GreenFest - Aug. 16-18, 2019 - FREE! Stephen Ritz is a South Bronx educator and innovator who believes that students shouldn’t have to leave their community to live, learn, and earn in a better one. Affectionately known as "America's Favorite Teacher," Stephen moved attendance from 40% to 93% daily and helped provide 2,200 youth jobs in the Bronx. His extended student family has grown more than 50,000 pounds of vegetables in the Bronx and generated extraordinary academic performance. Stephen’s Bronx classroom featured the first indoor edible wall in NYC DOE schools, which routinely generated enough produce to provide healthy meals to 450 students while training the youngest nationally certified workforce in America. Stephen electrifies and inspires audiences of all types with his "Si Se Puede" message of hope, urgency, resilience and Amer-I-Can innovation. His impassioned speeches garner raucous standing ovations from audiences around the world - including the U.N. Social Innovation Summit, the Green Schools Conference & Expo, Innovation Land, the American Institute of Architects, Clinton Global Initiative, and the World Business Forum. A strong advocate for Project Based Learning, Stephen presents annually for the Buck Institute. He presented twice at The White House — once for the “State of STEM” event and for the first South by South Lawn. To date, Stephen’s work has been featured by Forbes, Fast Company, New York Times, Wall Street Journal, USA Today, ABC, NBC, CBS, CNN, FOX, TNT, Disney, NPR, and internationally from Colombia to Dubai. His TED talk boasts more than 1 million views, ranks in the Top 10 Food/Education TED Talks of all time, and is used for teacher training/workforce development globally. Stephen was featured in the film adaptation of Michael Pollan’s best-selling book, In Defense of Food, ABC’s The Chew, The Rockefeller Foundation’s Food for Thought, and NPR’s 5 Great Teachers Series, All Things Considered, and American Graduate. Click HERE to learn more about Stephen's wonderful projects!